sedak, the glass manufacturer in Gersthofen, Germany, was founded in 2007. The company and its 170 employees have developed into the world’s technology and innovation leader for large insulating and safety glass. 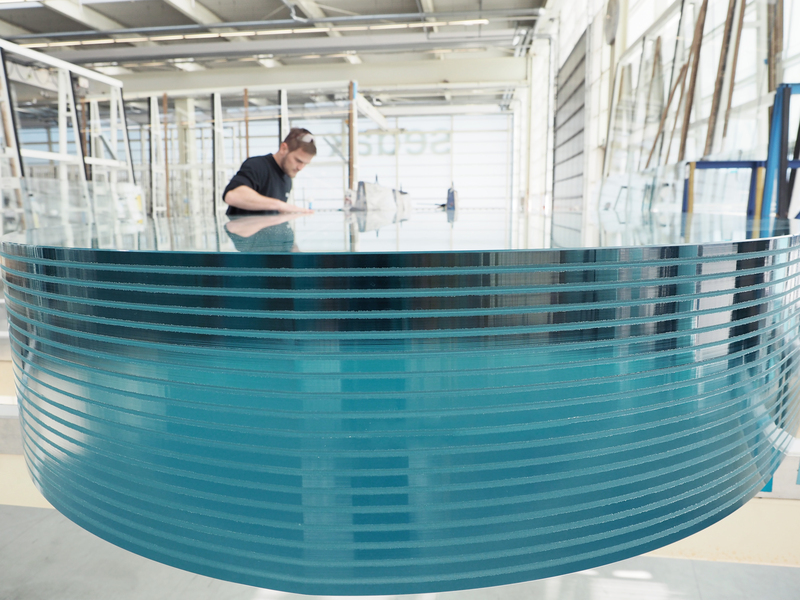 With a ten-year experience of manufacturing oversize glass and after having increased the level of automation continuously, sedak is regarded as a specialist in this know-how intensive segment. sedak delivers glass units up to 3.51m x 20m - processed, tempered, laminated, printed, coated, and cold bent. With 170 employees and a subsidiary in Jersey City, the company is providing glass for spectacular construction projects all around the globe. The core capabilities are the lamination of glass, edging, and the company’s know-how of producing glass components with additional functional and decorative elements. That knowhow has been deriving from sedak’s intense research and development. With its large size glass units, sedak opens up extraordinary architectural design possibilities combined with economical advantages for façade constructors, architects, and contractors. sedak’s production has been optimized for glass up to 20m and the associated weights. All finishing steps are handled in-house e.g. 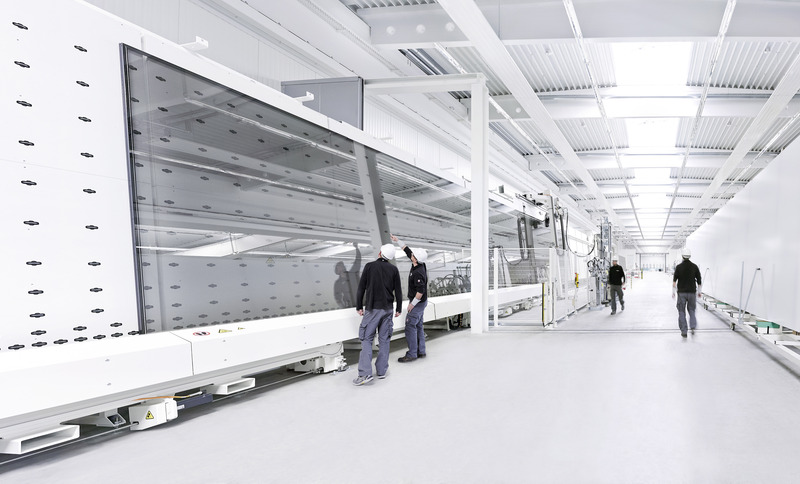 with the new, fully automated insulating glass line that produces insulating glass units up to 102mm thick. The enormous formats are available as safety or insulating glass. All products are obtainable colored, printed, specially treated for a thermal or sound insulation, as well as for sun protection. The glass units are delivered worldwide. sedak products are used for façades, glass roofs, balustrades, and stairs as well as for custom-made products, and the shipbuilding sector (e.g. as glass pools, walkable skylights, rails, for the hull glazing, or the ship’s floor). As full supplier for glass up to 20m, sedak sees itself as a partner for architects, designers, and façade constructors. Several architectural mile stones live on the creative power offered by glass manufactured by sedak. Outstanding references are for example the House of European History in Brussels, the Faculty of Medicine in Montpellier, the Torre Europa in Madrid, Brookfield Place in New York City, the United Nations Office at Geneva, the Apple Park in Cupertino, the Apple Cube in New York City, the science center experimenta in Heilbronn, as well as numerous premium flagship stores worldwide. sedak insulating glass includes the largest and thickest insulating glass units in the world in addition to proven double and triple glazing. We manufacture units up to 20 m (787 in) long with multiple laminations multiply glazed. We can additionally supply insulating glass units with steps up to 700 mm (27 1/2 in) on the bottom edge, for an esthetically advantageous composition with minimum joint thickness. sedak safety glass by sedak is produced exclusively under clean-room conditions using the vacuum bagging method. The result is 100% lamination quality without bubbles or contamination. With multiple laminates of up to 12 layers, sedak safety glass shows maximum strength. Heavyweights weighing up to 8,000 kg (17,600 lbs) per pane, which are manufactured under highly accurate requirements, can resist even massive forces. New office in the Asian megacity: sedak Hong Kong Ltd.